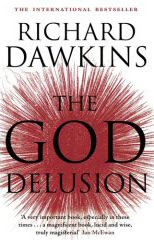 Description: The book that heralds the new Messiah of Atheism, Richard Dawkins. You’re most welcome, (insert appropriate form of address here) Jellicles. 'your highness' will do just fine.